Gaëlle Tallarida, Managing Director of the MYS, addressed her thanks to the Principality of Monaco and the 580 exhibitors and partners for their active role in the Show’s success for 27 years. 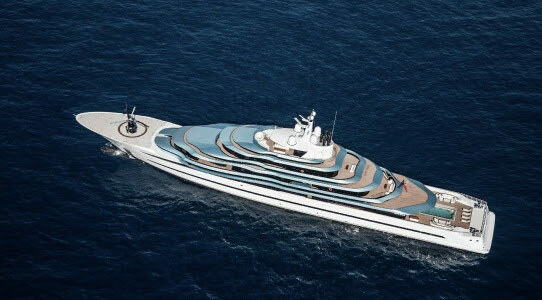 The Interior Design Award rewarded the finest and most state-of-the-art interior designs of the winning superyacht. Designed by Officina Italiana Design Sanlorenzo, Seven Sins combines refined elegance with the latest technical innovation in only 500 tons. Sanlorenzo’s new flagship makes its world debut at the 2017 MYS, highlighting the Italian yard’s experience in luxury yacht builds. Climax of last night’s Monaco Yacht Show Superyacht Award Ceremony, the jaw-dropping 110-m luxury vessel Jubilee received two awards. 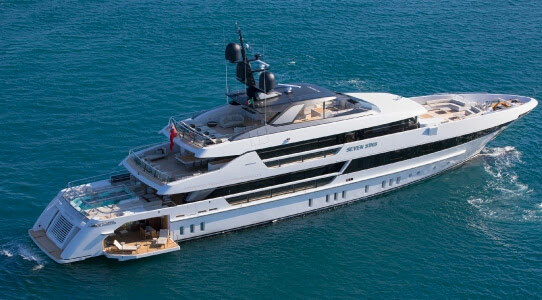 Two awards that distinguished the refined work made by the shipyard Oceanco on the aesthetics of her exterior shapes and interior design, on her high technical and state-of-the-art performances. 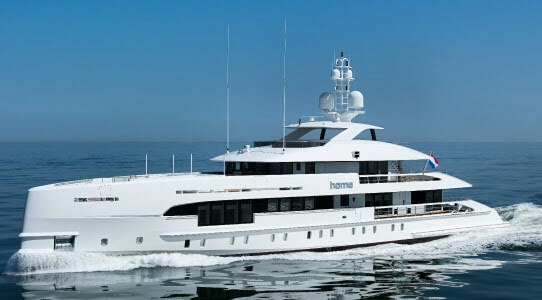 Captain Roy Dance, on behalf of the Owner, Paris Baloumis, Group Marketing Manager at Oceanco, Rupert Nelson, Director at Burgess and the Owner’s Representative, Igor Lobanov (Exterior Designer) and Sam Sorgiovanni (Interior Designer) received the trophies. The choices of the winning yachts was given by an eclectic jury of yachting-expert journalists from different countries and yachting cultures: Alexander Cheng, Publisher of the Chinese magazines Asia-Pacific Boating and China Boating, Marcus Krall, Editor-in-Chief of the German title Boote Exclusiv, Nabil Farhat, Publisher of the Arabian publication The World of Yachts & Boats, William Mathieson, Editorial Director of The Superyacht Group (United Kingdom), Ben Roberts, Editor-in-Chief of Superyachts.com (United Kingdom) and Charl van Rooy, Editor-in-Chief of Superyacht Times (The Netherlands).